Inspiring stalwarts like the Beatles, Steve Jobs, and Ravi Shankar, Autobiography of a Yogi is an immensely gratifying spiritual read that has altered and enriched the lives of millions across the world, since it was first published in 1946. 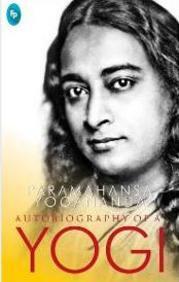 An originative text that tells the story of Paramahansa Yogananda, this book has been revered for its memorable, incisive, and instructive teachings. This spiritual autobiography will take you on an incredible journey of Indian mysticism and spirituality and deliver humbling, comforting truths about life and existence. A book that deserves a place in every home. . .